Can You Help Save Laurel and Hardy? 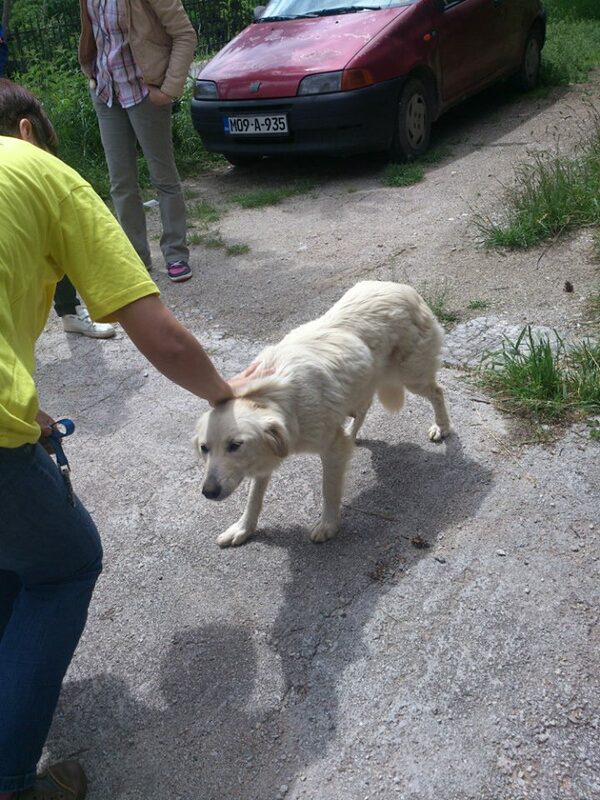 Dog’s Trust Bosnia has begun its campaign of mass sterilisation of stray and pet dogs in Sarajevo and East Sarajevo. The proposed goal is to spay and neuter 3000 dogs by the end of June. 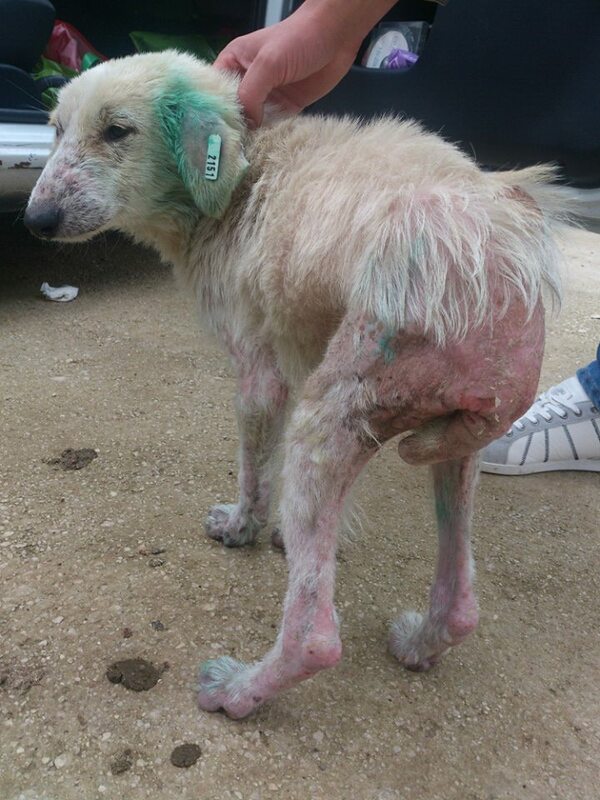 Many of the rescuers we are involved with in Bosnia are assisting in this campaign, helping to catch dogs and bring them to the veterinary stations for the operation and also for treatment for parasites and other illnesses. The dogs are then put back on the street. This is a much needed campaign, a count of the dogs last year showed that there were upwards of 11,000 strays in Sarajevo. 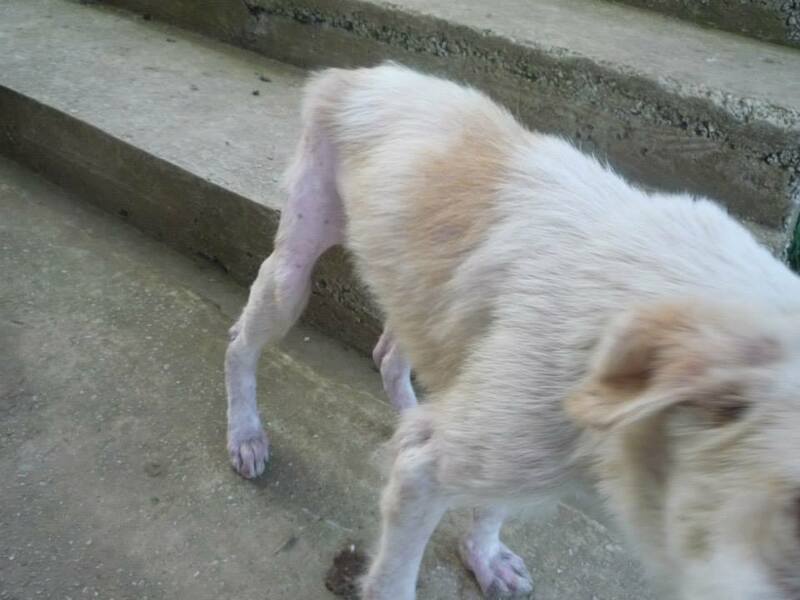 As those of you who follow this blog know, many of these strays are routinely abused, shot, tortured. Also, you know that the shelters in Sarajevo are horrifically inadequate. Spay-neuter programs combined with education of the public is perhaps the only way to address the shocking state of affairs regarding strays (dogs and cats) in the country. 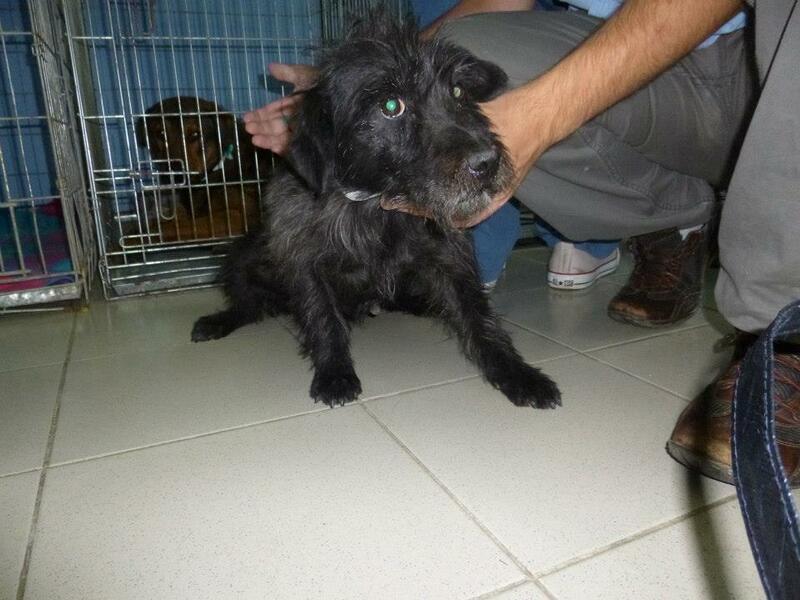 Already rescuers have brought considerable numbers of dogs to the Dog’s Trust vet faculty for their operation. 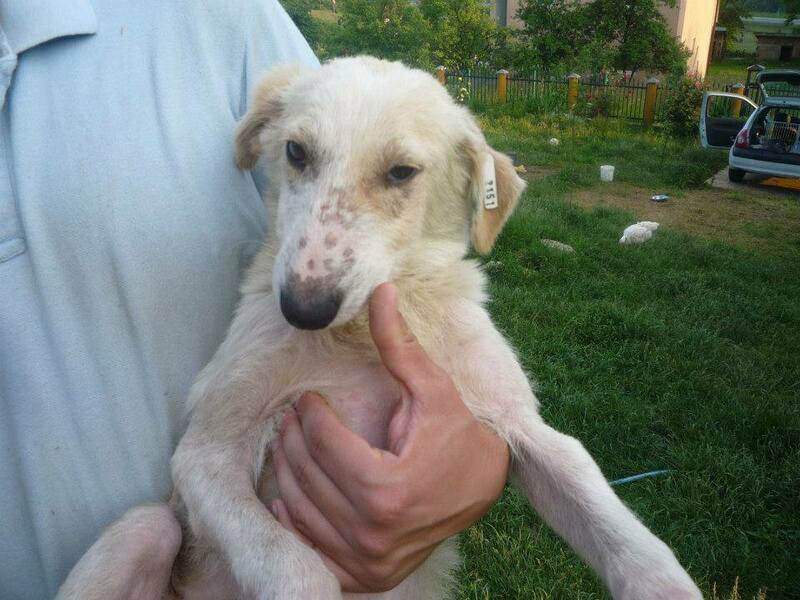 Many of the dogs they are finding are quite sick or very young, too young to be sterilised. 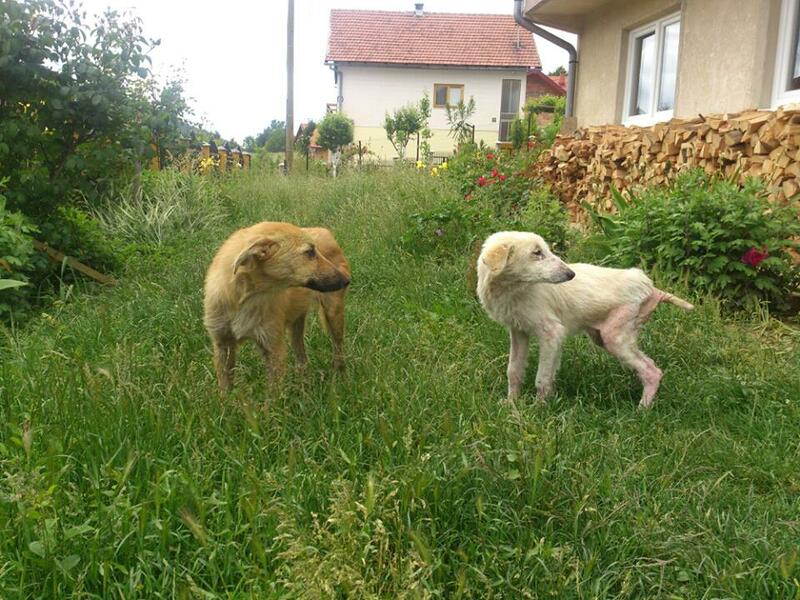 Two sick dogs are Laurel and Hardy (or Lolek and Bolek in Serbo-Croatian). 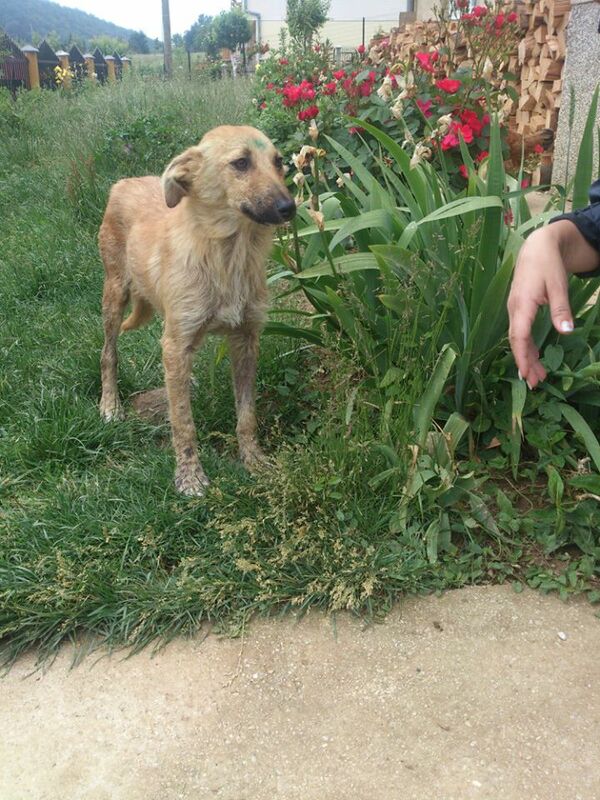 Lolek or Laurel, is in the poorest condition of the two. They are both suffering from demodex. A third dog found was their mother who just had a litter of puppies, so the rescuers could only take the two male dogs to be neutered, get their rabies vaccination and their microchip. 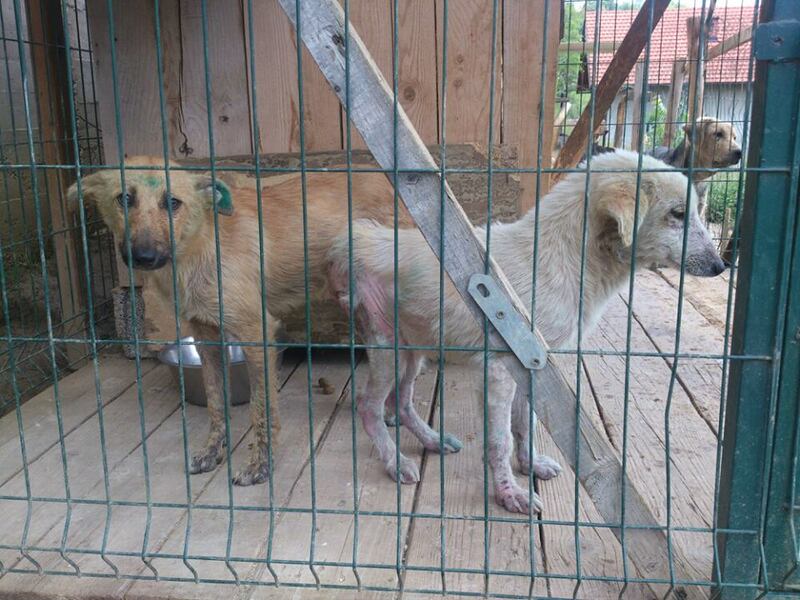 The rescuers brought the two dogs, who they named Laurel and Hardy, to the vet faculty and explained the dogs need to get medication and proper treatment, that they were not there just to get sterilised. 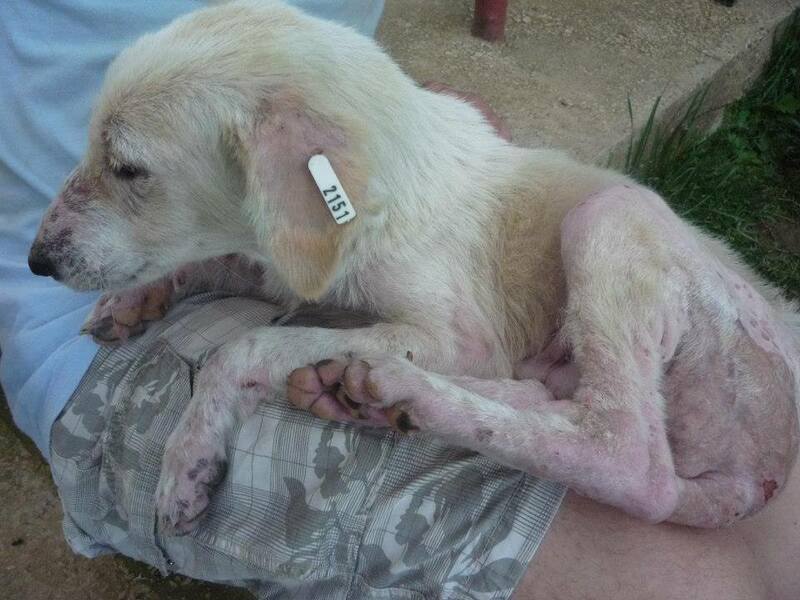 Unfortunately the treatment for demodex is lengthy, sometimes taking months to cure. There are no facilities provided by this spay-neuter program to take in such dogs. 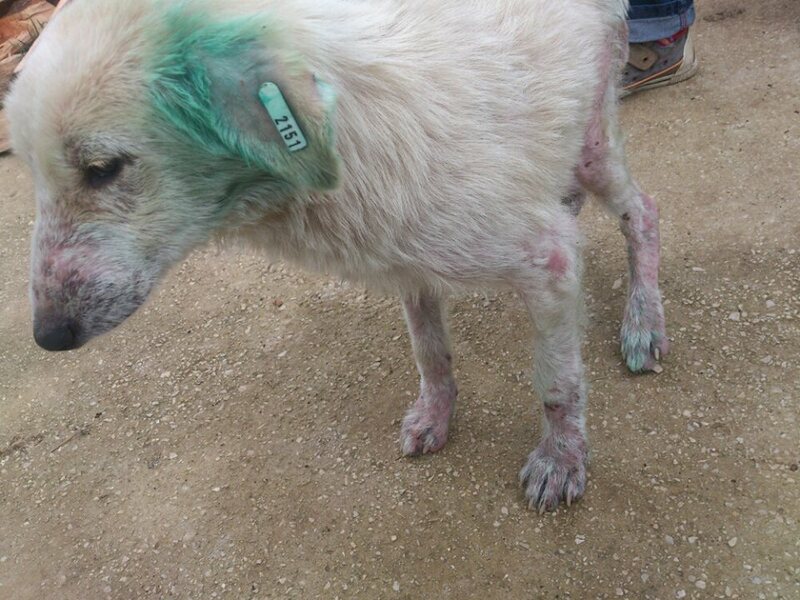 The vets were only able to give the medication to the rescuers so they could apply it to the dogs themselves. 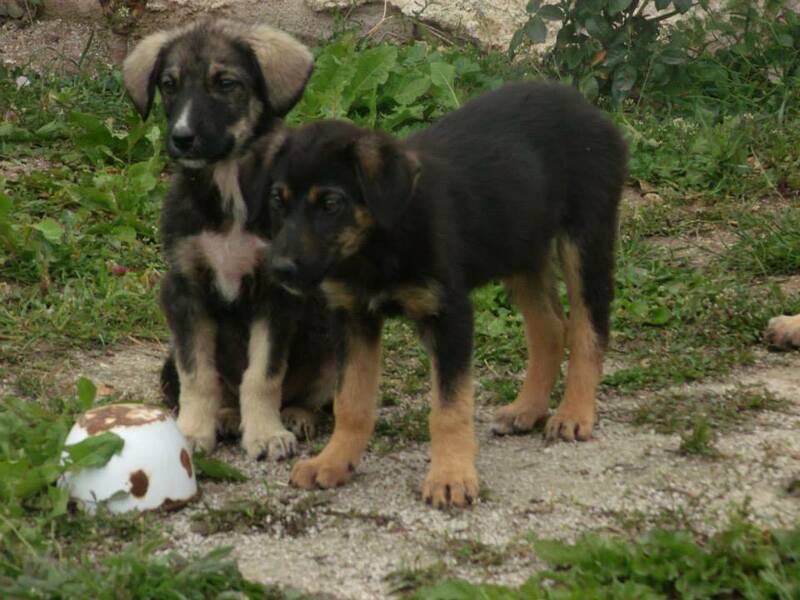 Unless the dogs can be put into foster homes or pension (90 – 120 euros/ 120 – 160 USD per month), it will be impossible for them to be treated. Yesterday, rescuers Jovanka Popovac-Tempany and Mia Ožegovic picked Laurel and Hardy up from the vet faculty where they were neutered. 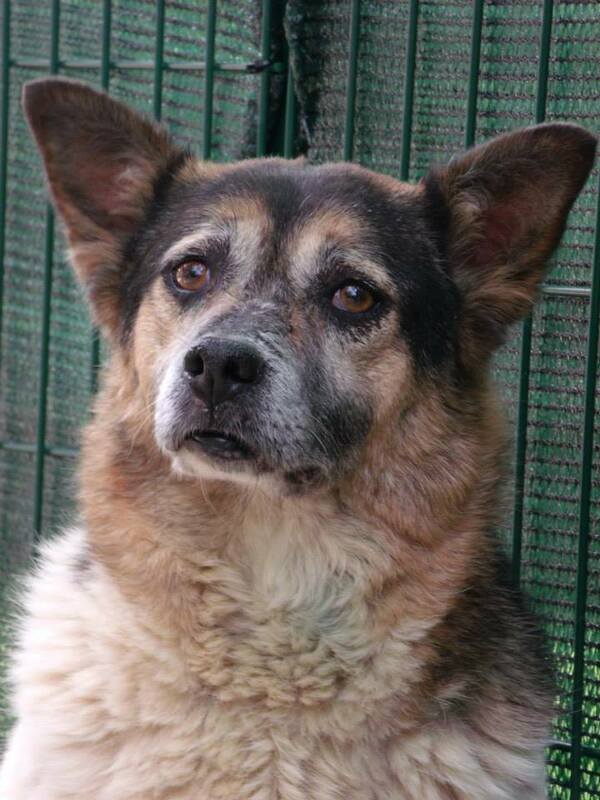 In short notice and with very little funds Mia and Jovanka managed to arrange accommodation for both of the dogs. 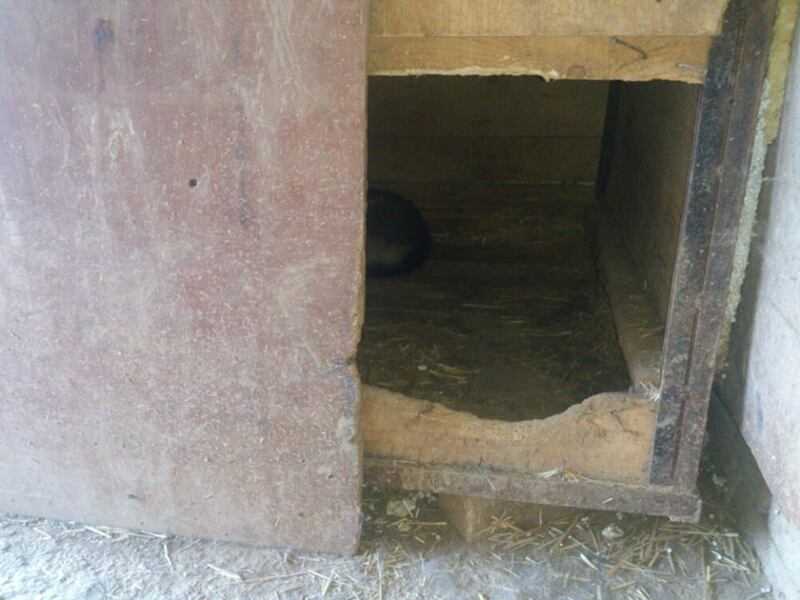 They are now surrounded with rabbits, chickens and have their own house, a place of safety for the first time in their lives. Although confused and disorientated at first, they soon explored their garden and new home. Their stay per month for both of them is 60 Euros + 35 Euros for food (this could be cheaper but they are very very skinny and due to their health issues, they need high quality food) The vet & medication costs are still being discussed, but some preliminary estimates say that only Laurel will receive one dose of Ivermectin (for demodex) and that they need a lot of nutrition and vitamins. 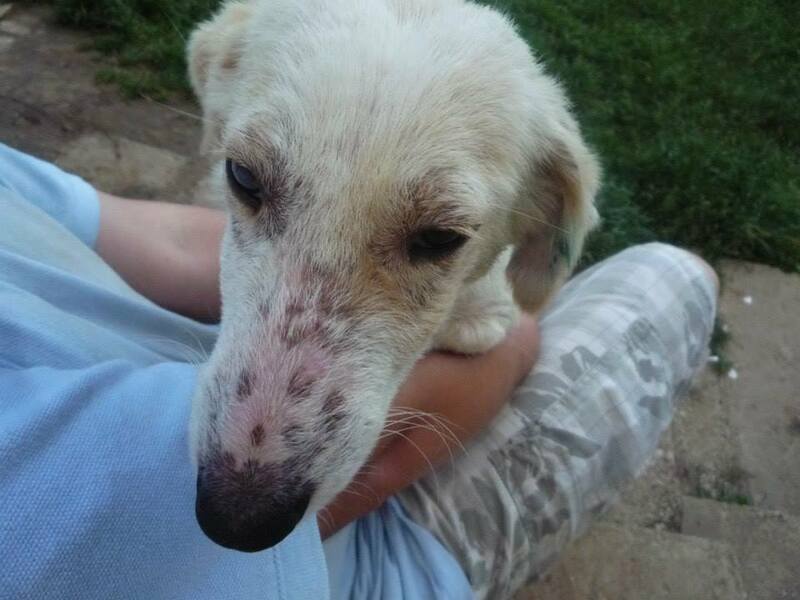 Mia and Jovanka will try and make an agreement with the vet faculty and Dog’s Trust so they supply the monthly dosage of medication. NEW: Video of Laurel and Hardy! 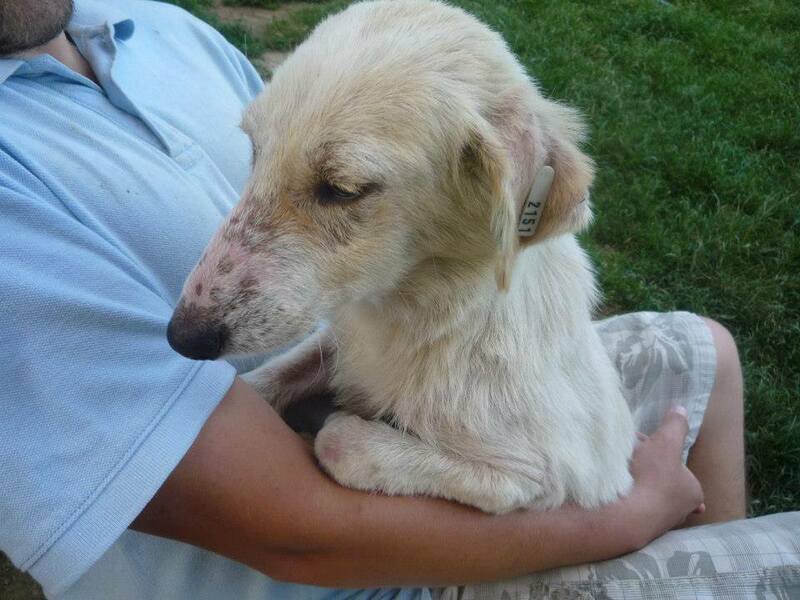 Laurel will be a semi long coated dashing beauty when his therapy is over. 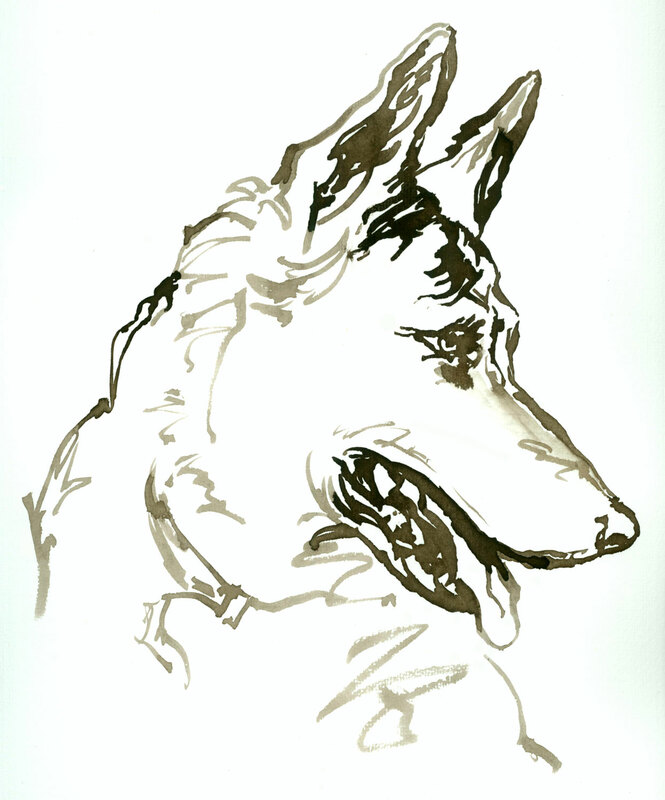 Even now, they both display a very kind, very mellow temperament, very assertive. 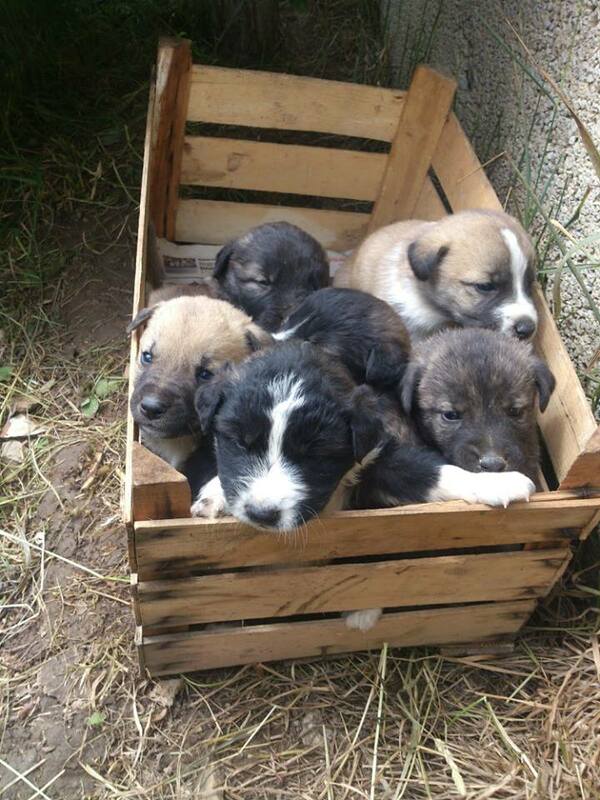 We are thinking after 2-3 months, they can be adopted. If you are interested please contact Mia directly. 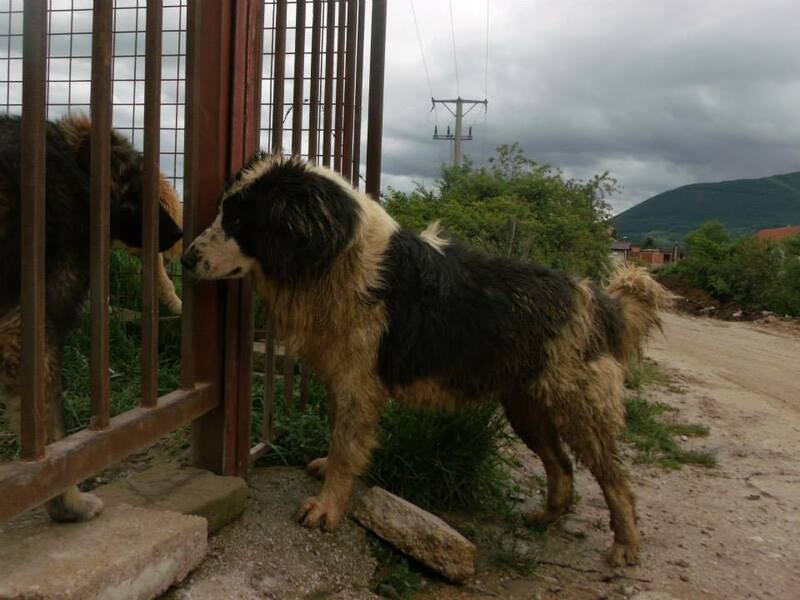 If you can help sponsor Laurel and Hardy’s stay in their new home please do so via PayPal at: CHUPKO71@GMAIL.COM and mark for Laurel and Hardy. Or you can make a donation via AWAB below, again make sure you state who the donation is for. The rescuers are going to try and bring their mother and her young puppies to a safe place and help is also needed for this. They were all found ‘in the middle of nowhere’ said Mia. 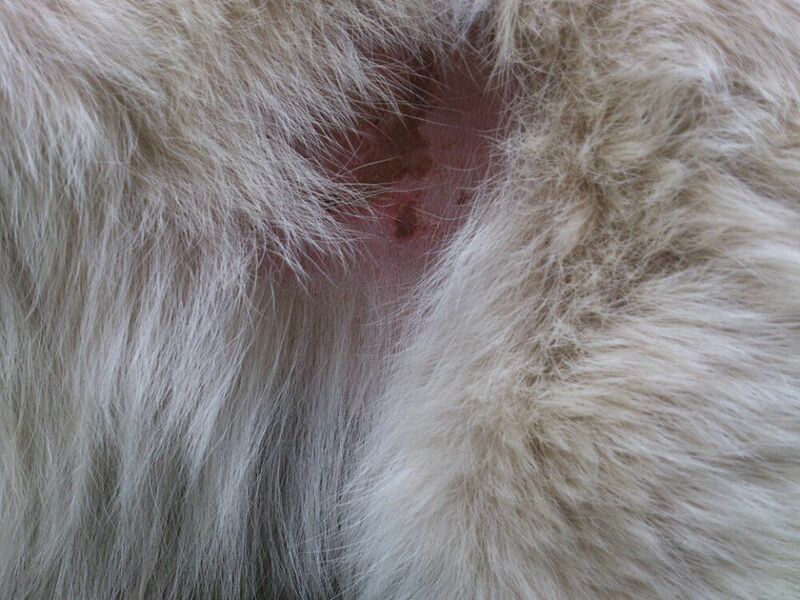 The mother is showing early signs of demodex (see slide show below for more photographs). 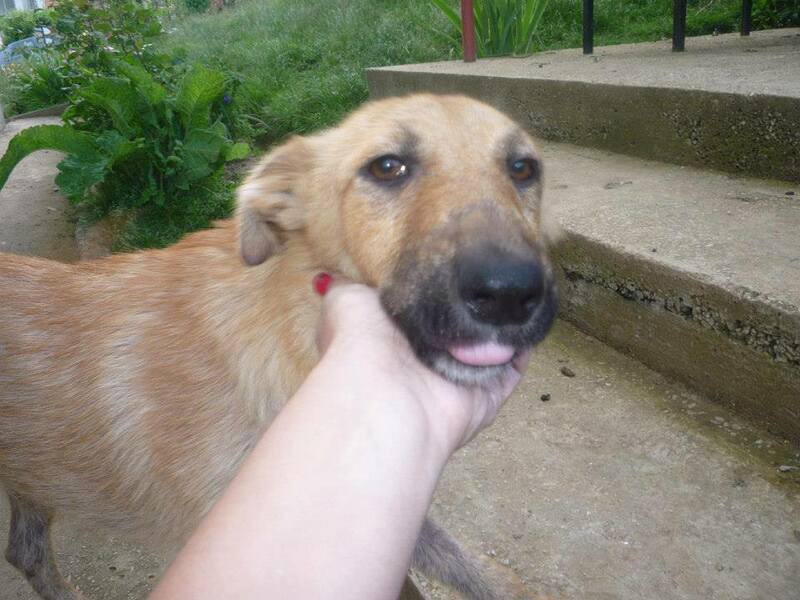 Other sad stories: this dog was seen outside one of the shelters in Sarajevo. Those who saw him say it seems he must have fallen into a nearby sewer. 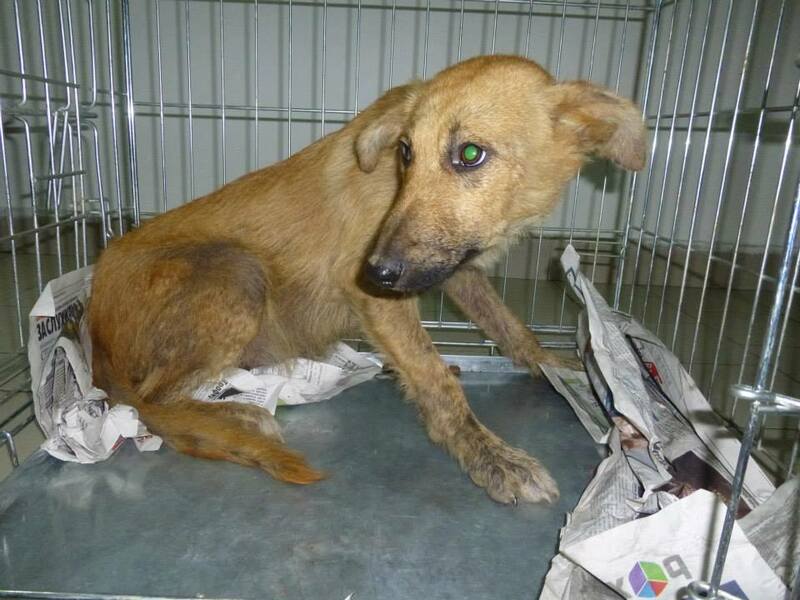 And this little dog, a two-year old terrier mix the rescuers call Shely, found on Friday up on a mountain and brought to be spayed, microchiped and vaccinated, but she then had to be returned back to her original habitat. 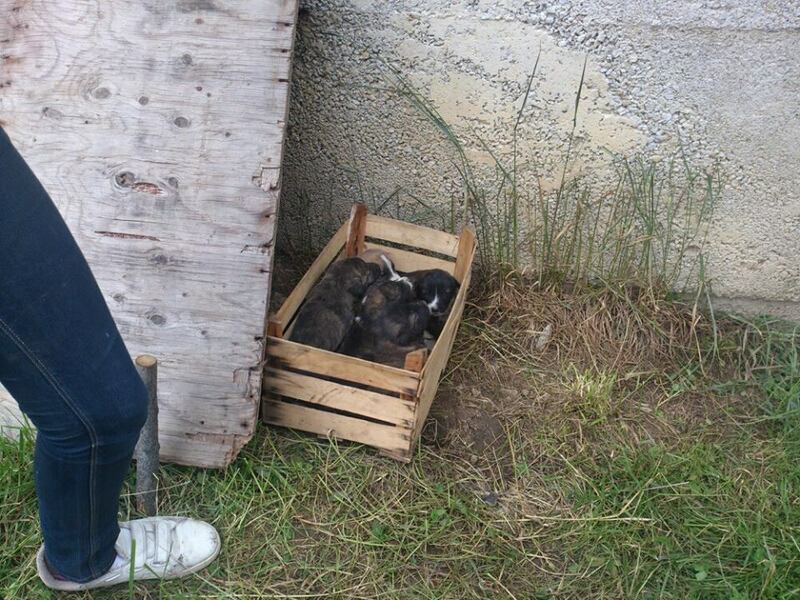 And more puppies, alone and abandoned.